Looking for a unique, one-of-a-kind, personal & very pretty gift for the holidays? 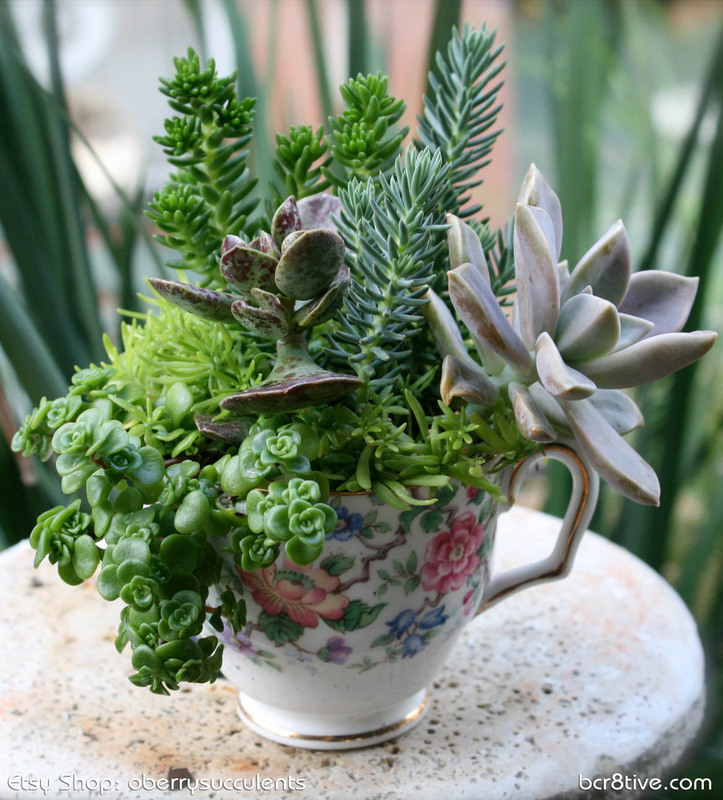 How about a very creative, Do-it-yourself, miniature succulent garden for a holiday gift idea? Succulents are growing in popularity because they are such an easy plant to care for and are very hardy plant for a home garden. They are drought tolerant and nearly indestructible. They are available in a wide variety of colors and shapes and require a modicum of care. Providing they are planted in the correct soil, receive adequate light, live within appropriate temperature ranges and are not over watered or starved for water they’ll do great. 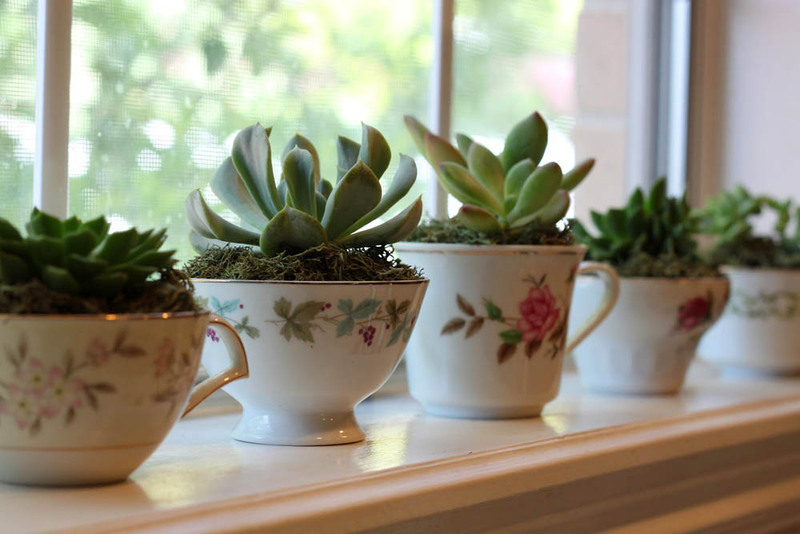 Here are some ideas for Succulents in Tea Cups from some very creative gardeners on the internet. This first one is from an Etsy shop, oberryssucculents, that makes & sells them. I think it is a really inspiring example, and she does a really lovely job with her creations. 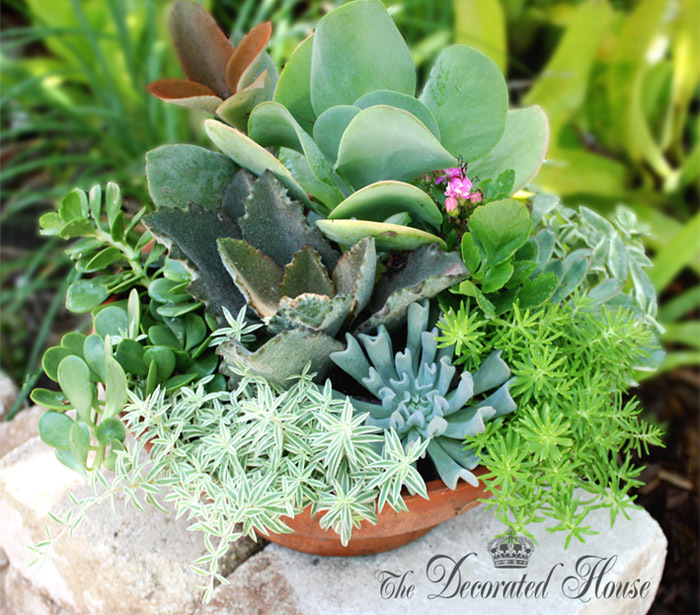 Donna Courtney of The Decorated House has a step by step tutorial with pictures to help guide you with creating your succulent garden. She also goes into more detail about gardening & caring for your succulents, indoor and out. She’s done a really cute job with hers too. 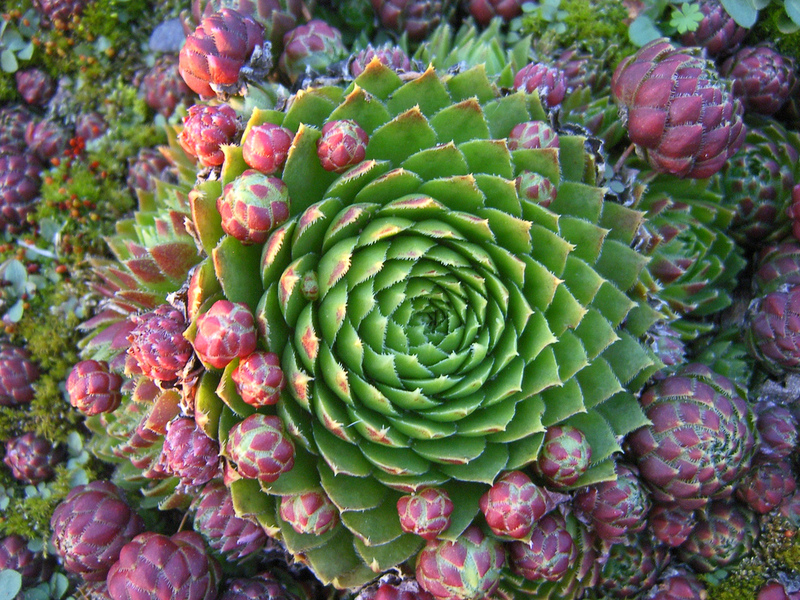 Here is a link for growing succulents that goes into far more detail about caring for succulents. I don’t know about you but when I get a notion to get into a new project I have to know as much as I can about it and this link from Jon VanZile of houseplants.about.com is very thorough. Also this site, Desert Gardens… they go into a lot of detail about not only caring for your succulents and cacti, but propogating them, keeping them disease & pest free and more. I love it because it displays some of the great variety of shape and color that is available when using Succulents and she simply took a fantastic photo of this one. She has literally hundreds of photos of flora and fauna so surf on over there if you feel like shopping pretty plants & flowers.